All users within the company who are registered in the organization chart are displayed by default. 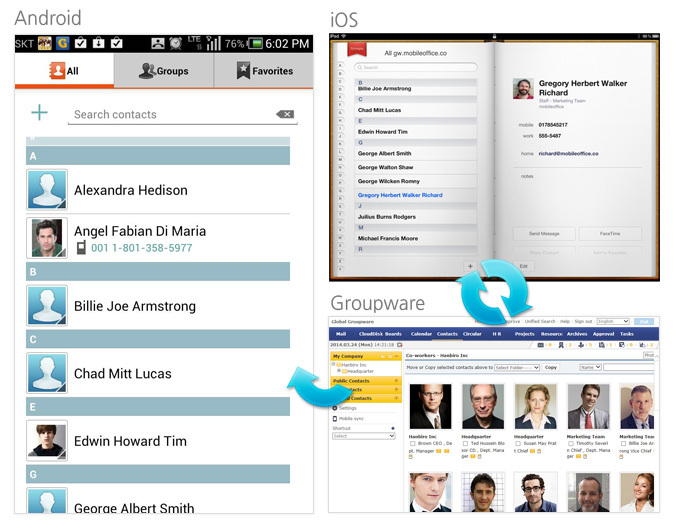 The folder shows the contacts which are shared by other employees within company. The administrator will create a folder to be shared and select specific user with permission they should have. You can create contacts and share it. This folder includes contacts shared with you by other users.